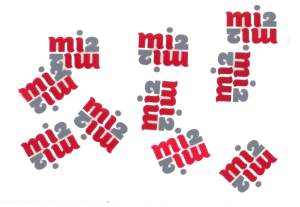 The naming of mi2 originates from “me too“ – because i in German is pronounced as e – which taps and touches on the personal of “me“ in order that you may rediscover and reflect the good in yourself in all ist facets – as much as love itself. The source of understanding contained in mi2, is to enter into the very essence of its fragrance, daring new paths of the heart, experiencing them both for yourself and letting them unfold around you. Brushed by angels, mi2 is the reminder, the olfactory vehicle to fully surrender, to communicate in love. the joy of doing good deeds for each other, sharing mutual respect, the unfolding of angelic qualities such as the implementation of supportive impact, thoughts both peaceful and compassionate, positive, empowering and loving ideas that the angels are happy to bring people to arise and grow within them. mi2 is a hug coming from heaven embedded in angels, a tender loving kiss. mi2 invites you to rediscover your very own angelic qualities. Developed on the level of the heart, mi2 is a perfume creation that reveals its beauty and significance by means of its wearer.